The Primera Series had a successful debut with the PM01 and its subsequent RGB-laden version, and now SilverStone has decided it could do with a refresh. 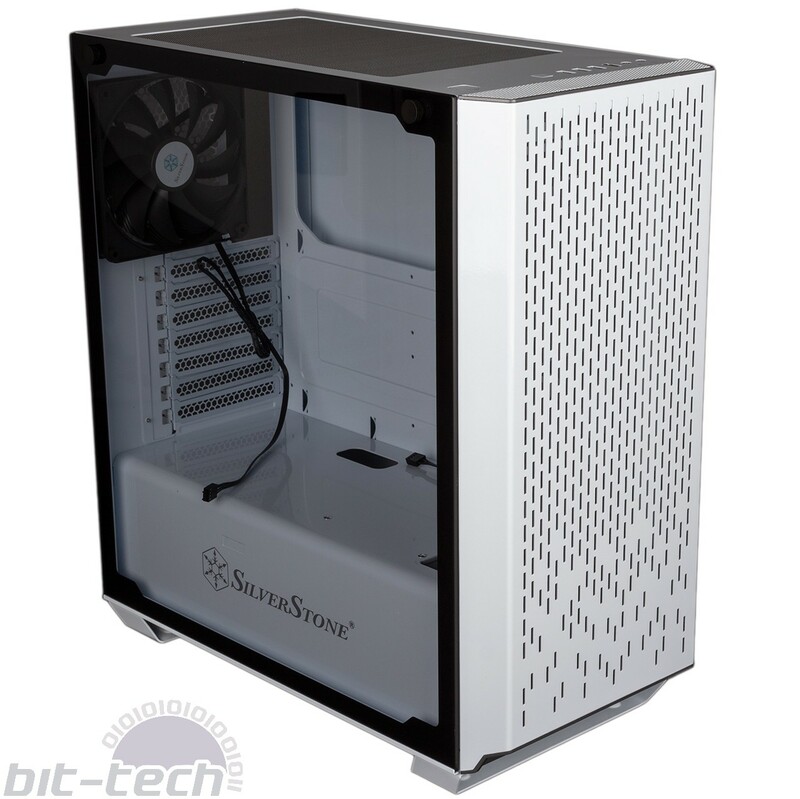 The PM02 – available in both black and white flavours – is a £100 mid-tower, which doesn’t seem like a bad price at all when you consider that it ships with four 140mm fans. It doesn’t have any RGB, but there are plenty of options in the hardware market for adding your own these days, in case you hadn’t noticed. Photographing white cases is never fun; we used a black backdrop for our photos, with one consequence being that the tempered glass panel looks a lot more tinted in our shots than it actually is. In reality, it’s almost clear except for the black border. It’s also nice and thick, and suitably complements the very high level of build quality elsewhere. For example, the front and roof panels are both made of metal, which is a real rarity at this price point. It’s even more impressive when you consider that the front panel also has numerous cuts along its fascia to create ventilation, although the lack of symmetry at the bottom is puzzling and mildly annoying, at least to our eyes. Pulling the front panel off reveals a full-height magnetic dust filter that is itself easily removed and which shields the front fans. All three positions are occupied by 140mm fans; these are low-noise models, capping out at about 1,200 RPM, but combined they should still generate a decent amount of airflow. The final 140mm fan is mounted as a rear exhaust; the imbalance between intakes and exhausts will create positive pressure, which will force air out of other ventilation points, most notably the roof where you’ll find an empty pair of 140mm/120mm fan mounts, bringing the total to six. 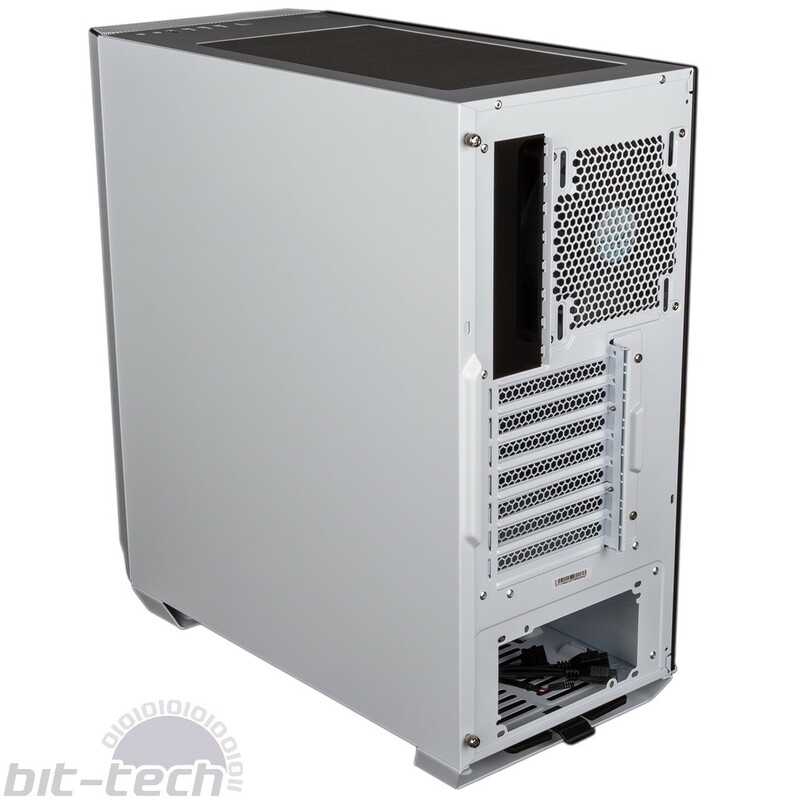 SilverStone has put a simple magnetic dust filter here, ensuring that particles have a tougher time getting into the system when it’s powered down, for example. The roof-mounted front I/O panel is better equipped than we’re used to, coming with three USB 3.0 Type-A ports instead of the usual two. You even get an additional fourth USB port, this time a handy reversible Type-C one, although it’s capped to USB 3.0 speeds (or USB 3.1 Gen 1 in modern terms). Taking advantage of all these ports will require two USB 3.0 headers on your motherboard. Dual 3.5mm audio jacks are included too, as are neatly seated power and reset buttons. A quick look at the underside reveals nothing of surprise – you get rubber feet to keep the case gripping, and a slide-out dust filter guarding the PSU. Getting this back into position after cleaning it is easy enough. One final feature is worth noting. You may have noticed in one of the above photos that the front dust filter has a black plastic strip strapped across it. This is an onboard LED, which projects the SilverStone logo in blue (or red with the black version) onto the desktop or floor – a neat little touch. It requires a single SATA power connection to work. Drive bays 3 x 3.5"/2.5", 3 x 2.5"